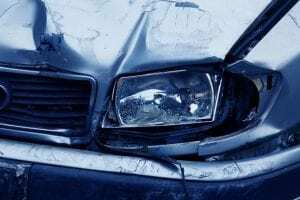 Webster, NY (March 28, 2019) – Police were reported to have been dispatched to the scene of a motor vehicle accident that resulted in at least minor injuries on Thursday night, March 28th. According to authorities, a collision which is currently believed to have involved no more than two vehicles took place at 8:48 p.m. at or near the intersection of Five Mile Line Road and Publishers Parkway. Emergency medical personnel was immediately sent to the aforementioned location in order to assist any injured parties. After arriving at the crash site, paramedics confirmed that at least one person had sustained injuries due to the collision, although the seriousness of that victims’ condition is unknown at this time. Police have not stated exactly how many people were involved in the collision, and no further details have been provided concerning the events that led to this incident. Authorities are likely to be conducting a thorough investigation into the cause of the crash. Above all else, our kindest and most genuine concerns are extended to the victim or victims of this crash, first and foremost. Following a car accident in New York, it can be terribly difficult to focus on anything other than your recovery. While your health should certainly be your top priority, it is absolutely essential to know that, as the victim of someone else’s negligent behavior, you may likely have very significant rights in terms of recovering compensation. At Hach & Rose, our compassionate New York accident attorneys have committed their lives to help the victims of reckless drivers and other inattentive entities. We understand that immense physical, emotional, and financial hindrances arise in the aftermath of a serious car accident. If you have suffered injuries in a crash because of the irresponsible actions of another party, please don’t hesitate to call 212-779-0057 today.